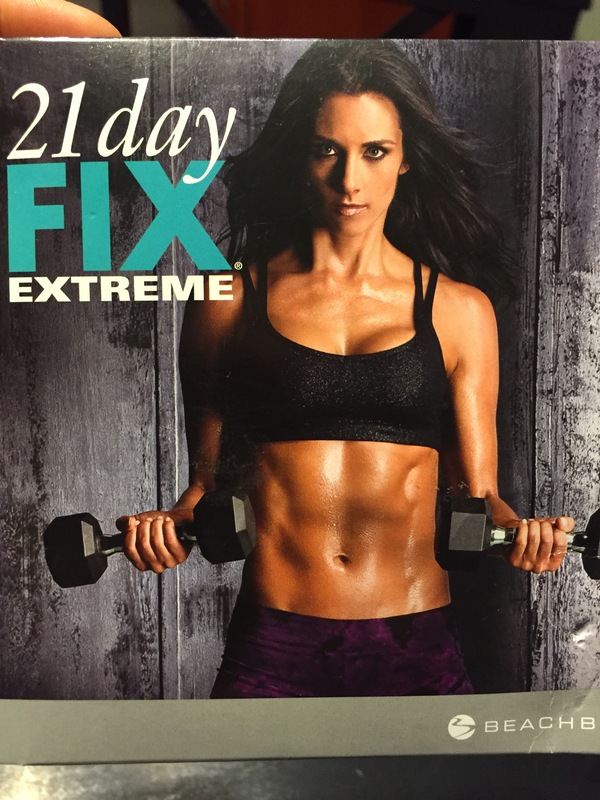 On Sunday I did a quick workout from the 21 Day Fix Extreme. I chose the Cardio Fix because I was clearly looking to get my heart rate up and sweat after a long holiday weekend. 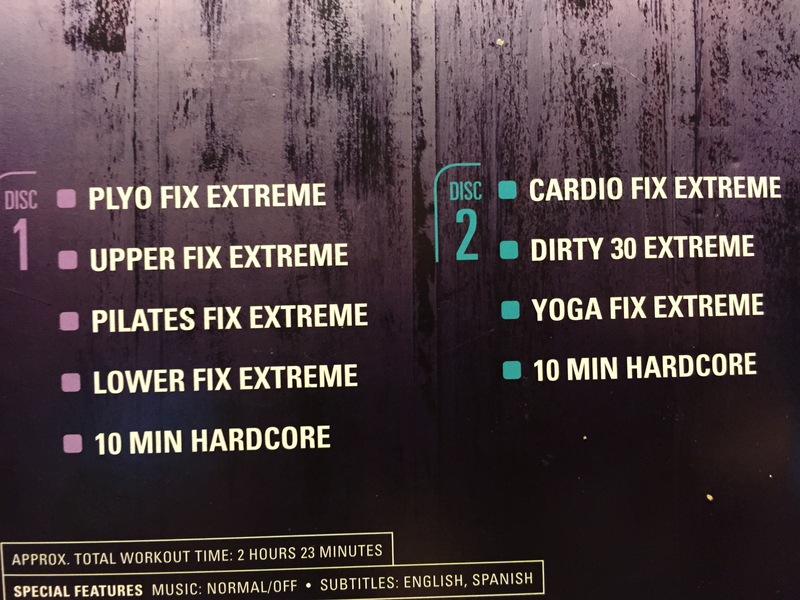 If you have never done a workout from the 21 day fix or the Extreme, they are quick but intense and they remind me of my boot camp classes. All of the moves are creative and unique, most of them I have done before but I love the combination! I had debated whether or not to go to the gym and hop on an elliptical or treadmill to do some cardio, but I decided to go with an at home workout and I’m glad I did. I know I got a way better workout (because I used weights) I incorporated almost every muscle group in a short amount of time and I was dripping sweat 5 minutes into the workout. I love going to the gym because my mind is a lot clearer then it is at home, but I end up talking to people (because I work there so it’s inevitable to run into someone I know) and then I end up taking away time from my workout. At home workouts aren’t for everyone but I truly do benefit from popping in a workout DVD on my own time schedule and getting a quick workout in for 30 minutes. I’ve noticed with all of my fitness challenge groups that a majority of the people have a hard time finding time to exercise and getting to the gym is another issue. I think the convenience of at home workouts is great because you can do them on your own schedule, you can shower & refuel at your house and be done before you know it. The workouts can even be broken up into 15 minutes if you need to. Do you prefer at home or gym workouts? Are you more motivated in a class setting? I just started 21 day fix yesterday! 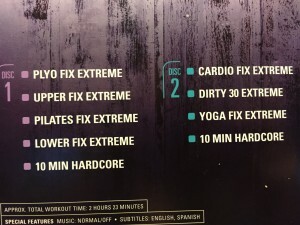 I’m not quite extreme yet I did the cardio fix yesterday and I started off thinking “Oh this will be easy”. I was wrong haha! It’s great when you can get a good workout without leaving the house. All the workouts are great, the extreme ones are definitely tougher but I love the creative exercises. I am doing the 21 day fix diet with a friend. But cannot commit to any exercise. She has the Extreme dvd and wants to get together but am so lazy. I do get up and walk my dog every morning. But I need more!